Document is an element of the information-analytical system of accounting and compensation benefits for students of higher educational institutions and pupils of vocational schools. As the media uses embedded microprocessor (chip module). 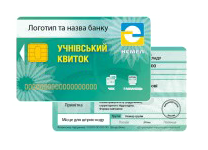 This smart card makes it possible to apply student card as a payment instrument and also as a means of transport benefits. Through the use of modern data protection information in the chip module is protected against forgery and breach of integrity. Need in contactless chip determines directly by higher education. Contactless chip can be used in access control systems used in higher education and in the subway, railway transport, library, public transport and so on. Type of payment system and a specific bank institution of higher education shall elect its own. Chairman of the Board Dzhus Y.M. Chairman of the Board Nyemoy O.M. Chairman of the Board Martyrosov V.I. K / P: 32004186201 to principal office of the National Bank in Kyiv and Kyiv region. K / P: 32008152402 to principal office of the National Bank in Kyiv and Kyiv region. Deputy Chairman of the Board Monastyrskaya Svitlana M.
K / P: 32009100100 to principal office of the National Bank in Kyiv and Kyiv region. 61001, Kharkov, Moskovskii Avenue, 60. Deputy Chairman of the Board Lezhnin Konstantin P.
1. Educational institution (if necessaryif it is not done previously) passing accreditation as a host of data collection IPS «Osvita», (refer. at page: The order registration of the node). 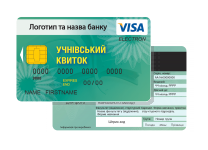 This includes: acquisition of cards – electronic keys of operator of the unit processing of the information IPS «Osvita» and the card reader. 3. Educational institution (if necessaryif it is not done previously) install free software (Education) for custom electronic student / pupillary card, documents on education, supplements to diplomas. (see on page:«Installation files»). 4. Educational institution makes a deal with the bank to service students. 5. Educational institution conducts a tender (if required) to provide services for the creation of electronic student /pupillary card. 6. 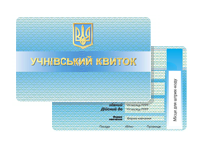 In a personal cabinet of each node (on the website dodatok.osvita.net) opened a new section «Agreements on ordering of documents», which aims to create contracts to orders for electronic student and pupillary cards. 8. 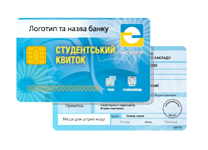 Educational institution receives a receipt that the contract is signed and registered (done automatically), and then generates and sends a request for electronic student / pupillary cards electronically. CAUTION! No signed contracts and with debts for services received pre orders for electronic student cards will not be accepted to work! 1. 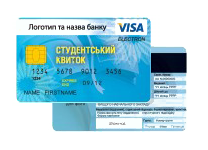 Educational institution sends a confirmation to the creation of electronic student / pupillary cards electronically, from site osvita.net filled due to the number that corresponds to the number of confirmation. If necessary, due to be printed. On the basis of credit acceptance certificate filled and sent to the educational institution for payment (which is signed by EDS). 2. Educational institution receives notification that the order is processed, the data of students registered in the manufacturing base of the Contractor, then formed the act, they perform work that is signed by electronic signature, as appropriate originals are signed with stamp and sent in paper form to the SRI applied informational technologys. 3. Educational institution receives acts of acceptance, tax bills by mail (a duplicate of the original electronic register). 1. Educational institution sends a confirmation to the creation of electronic student / student tickets electronically, the employee of SRI applied informational technologys makes mark in order that it can produce (with a signed contract to EDS electronic register). 2. The school receives notification that the order is processed, the data of students registered in the manufacturing base of the Contractor, then shaped bill and certificate of completion of works on site osvita.net due to the number that corresponds to the number of confirmation signed by electronic signature. Then educational institution is printing acts of works on paper and signed by them along with the registered contract refers to the SRI applied informational technologys (educational institution if required copies with stamp). 3. SRI applied informational technologys with its hand signs the contract and acts affix the date (if the documents are received after the 20th of the month, the date stamped next month), and issues a tax invoice with the agreement and the act of sending to educational institution for payment. Therefore contracts is given a number without specifying the date (which is consistent with the institution) as well as in the accounts and instruments.